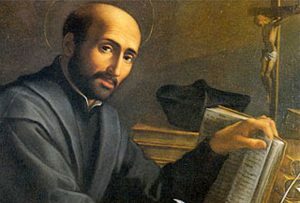 Underpinning and giving unity to the work of the Epiphany Group, are the Spiritual Exercises of St Ignatius Loyola. The Exercises can be made either in daily life – usually over a period of 8-9 months – or in a retreat situation, most commonly over 30 days. All members of the Epiphany Group have made the Exercises. Some guides go on to direct others who wish to experience this invaluable way of growing in companionship with God and in alignment with God’s deep desire for their personal, spiritual growth. Training is arranged on an occasional basis when there are sufficient numbers of people wishing to learn to give the full Ignatian Spiritual Exercises. Contact us if you are interested in in this training.